Having followed some of the best bloggers online, I think there is a huge opportunity for millennials to use blogs and online businesses to rapidly increase their income and get them on the road to Financial Independence. When you look at the stories of Ruth Soukup and Michelle Schroeder-Gardner, it is clear to see that blogging can and does change people’s lives. Blogging can be the thing that allows people to leave their dream life. To be clear, I have no plans to quit my business, I love what I do and my work is really kind of my hobby, so there is no way I would want to stop. What I would like to do though is give hope to all the millions of millennials out there who have subscribed to the stories in the media that we are the ‘doomed generation’, destined never to own a home and never have enough money to retire. 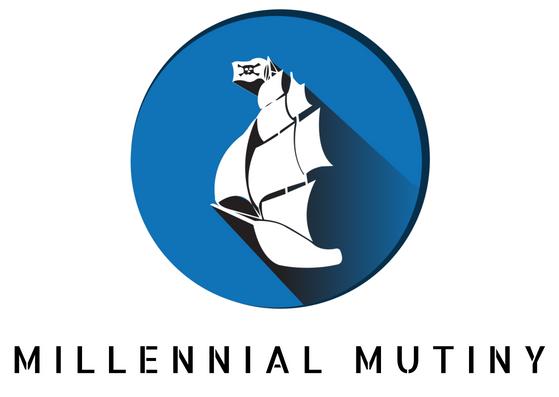 I truly believe that Millennials have an incredible opportunity in creating a blog or knowledge commerce business and that almost anything is possible online. I have been inspired by the income reports from several bloggers like Michelle Schroeder-Gardner and Grant Sabatier who are now regularly reporting five and six figure months. The only problem is, these are experienced bloggers who have been doing it for years. I want to prove that it is still possible to start a new blog, in 2018 and make a reasonable income. To many people, blogging looks really easy. You throw a couple of posts online, add a few adds and affiliate links and hey presto – get rich quick, right? Wrong. Blogging takes a lot of hard work and dedication and in the early months, you could well be blogging to yourself. I want to chart the journey from new blog to (hopefully) successful blog and show you the trials and tribulations along the way. I am a big believer in setting goals and then having people hold you accountable. By publishing my blogging goals online, I have the whole world to hold me accountable for what I say I am going to achieve. That’s not to say that I can achieve every goal, every time, but I will certainly give it my all! November was another crazy month in the Financial Planning business meaning I didn’t have a huge amount of spare time to dedicate to the blog. There is a theme developing here, but I am not going to be too hard on myself. The Financial Planning business is going from strength to strength and we are growing a team so there is a lot to be excited about. I posted 3 articles in November and the most popular of those articles so far has been ‘How To Hack Your Job to Fast-Track Your Financial Freedom'. I am making progress with my first product to launch on the site which will be a Full Financial Freedom Planner Bundle. The core product is now finished and I just need to build out the pages on the site. I am hoping to have this done in December. The product now includes a budgeting planner, a net worth tracker and a ‘dream life’ calculator (which is designed to help you work out how much your dream life will cost annually and also then figure out how much capital you need to sustain it). I have set myself the task of having the ‘Financial Freedom Planner Bundle’ (as I am going to call it) live on the blog by the end of the year. This will be challenging as I am learning some new skills and need to build out some landing pages and other content for the launch. RESULT – Not quite – I managed 3 articles in November so just under one a week. RESULT – Nearly there – I still have a little bit of work to do on this but I should get there. Get the Financial Freedom Planner Bundle live. November was not a great month for traffic and I actually saw some drop off in numbers. I have not been focusing that much on traffic so far, instead preferring to get the blog to a stage where I have a good amount of high quality content first. My first traffic building strategy has been to add comments to some of the other awesome blogs that I follow. This has started to pay off and I am noticing a spike in traffic on days where I am adding comments. I need to make this a more consistent habit and also expand the blogs that I am reading and commenting on. I started my blog in early August 2018, so I am now around 4 months in. I have really enjoyed the process of writing for and creating my blog and it a passion that I pursue in my spare time. I know that these figures and still pretty much insignificant compared to the multi-million page views that some other sites are getting, but it feels like a good start. I have spent less time this month focusing on traffic building strategies and this shows in the numbers. I am about to finish writing my second book and this will free up some more spare time that I can then focus on building traffic to the site. For next month, I am going to continue to read and post helpful comments on other great blogs that I follow and in addition I am going to keep learning how to use Pinterest. I opened a Pinterest account in November and have been slowly adding some pins. I still have a ton to learn and I am nowhere near active enough to get noticed yet, but I have done the hardest part which is to get started. Many bloggers use Pinterest to grow traffic to their blog and I am going to be giving it a try. I know nothing about Pinterest and so I am going into this as a total newbie. I think I am going to spend the rest of this year getting to grips with the system and how it works and then I will probably take a Pinterest course in early 2019 to really grow my knowledge. This will be a fairly short section for today’s post, but one I hope will get a lot bigger in coming months. 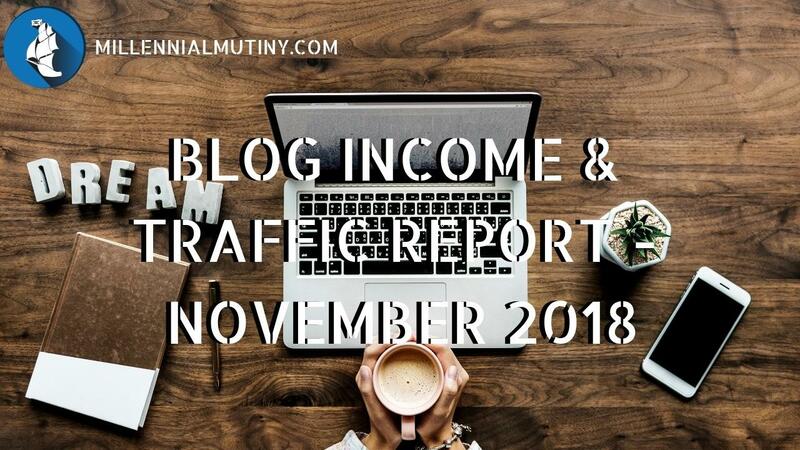 My blog income for November was (drum roll please….) ZERO! Yes. My income for the month was a rather un-impressive $0, however I do not currently have any products on the site, my traffic is very, very low and the only advertising I have is some Amazon recommended products panels. In the future I want to be more active with my own products, affiliate links and ads, however there has been a lot to do in the past 4 months. I have built the design of the site, written all of the content thus far and added some back-of-house systems to make everything run smoothly. As time goes on, I hope to be posting a number higher than zero of course and at this point, I will go into more detail about where the income is coming from and what’s working and what’s not. My expenses in November were also zero. Yippee! I use Kajabi to run the site and all of the marketing that goes with it and I paid this a year up front so I don’t have any on-going costs to run the business. This month I used all free images for my posts so I also have zero costs for stock photos. That's it for another update. This month it will be Christmas - where did that year go!